Once you’ve made the decision to spay or neuter your dog, you do have to go to the vet to set up your appointment. When I went, there were a few decisions that had to be made, and I booked it at least a month in advance. First and foremost was what kind of surgery was I going to go for. The vet that I took Rhea to had an advanced facility, so for an extra 10,000 yen, I could have the surgery done by laser. This means that instead of tying the tubes with thread, like they usually do, they solder them shut. I decided to get the laser surgery, as a few dogs do react to the thread. I had the extra money, and I know my luck, so I felt like I really had nothing to lose. The surgery itself came to about 60,000 yen, however, the government in Nagoya will give you a bit of money towards it to encourage people to have their dogs fixed. There is a catch – shockingly enough. You have to go to the ward office to get a certificate, or basically, a coupon. This certificate is only good for one week, so you have a week from the time you get it to get the surgery done. If you have the appointment booked, it shouldn’t be an issue, but sometimes finding time to get over to the ward office can be troublesome. In the end, the certificate gave me about 9000 yen off – which is better than nothing! Rhea had to stay overnight, and also had a couple of teeth pulled while she was under, as she had two sets. The operation went off without a hitch, and Rhea came home with a cone of shame. I don’t remember how well the surgery was done for any of my dogs in Canada, but I was pretty impressed with my vet in Japan. You can’t even tell where they made the cut, and on the day we went to pick her up, they showed us what they had removed. I can’t say I looked. If spaying or neutering isn’t for you, but you’re afraid of your dog making an embarrassing mess, never fear! 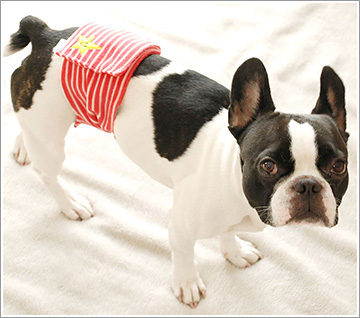 Japan has a wide selection of manner bands and sanitary pants for dogs. Manner bands are for boy dogs to prevent them from marking when you’re out and about. 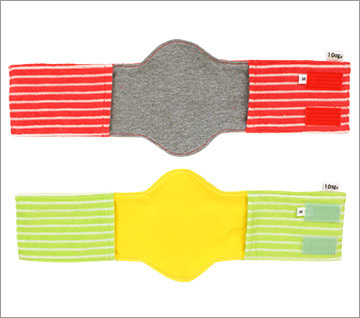 It’s quite literally a band that wraps around the dog’s waist, and according to one of the makers of them, the rounded bit is to give extra protection between the dog’s legs. 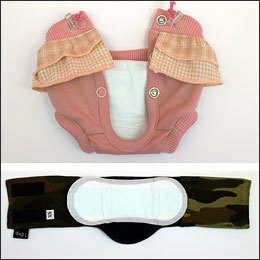 For your lady dog, there’s an option that is just as cute and clean – sanitary pants. 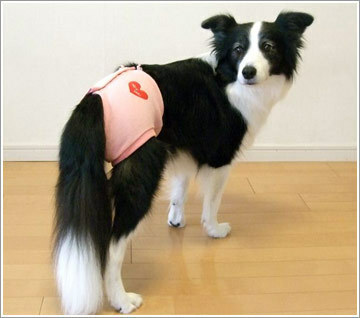 These pants are basically like sanitary napkins for women, so they keep any messes from when your dog is in heat at bay. And really, why not make a fashion statement when your dog is in heat? Now I’m sure you were wondering how exactly these protect leakage. It’s all material, so you’d assume that the liquid would go right through, right? 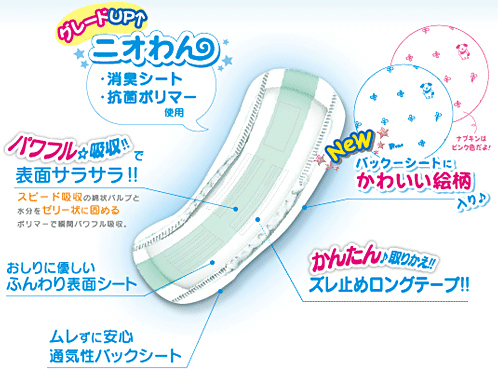 You have two options: put tissue inside to soak up the spills, or buy dog friendly sanitary napkins. Yes, it’s a real thing. 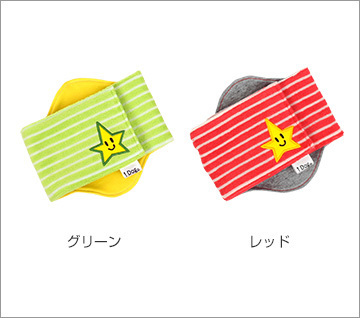 These can be inserted into either the manner bands or the sanitary pants, and control odour, are extra absorbent, not rough on the behind, easy to stick on, and come with a cute pattern.